I will have separate blog post this week talking about this very subject, but for today — 11 words will just have to be it. Where are they going now? My husband, John Robel (blog|twitter) posed a very interesting question shortly after the Women in IT (WIT) lunch at SQL Saturday Chicago. He commented that in the group discussions about the subject, we hear a lot of stories on how we (current Women in Technology) got into the IT field some years ago. SQL University has a whole week of series about Women in IT that dedicated to just that (Jes, Julie, Audrey, Jen and Wendy – thanks for awesome posts!) and we all know that back then, the choice for women was somewhat limited or we didn’t get a lot of advice or directions, or we weren’t encouraged enough. Whatever challenges that we had back then, we want to make sure that our children (boy or girl) won’t have them, right? So the question that he posed to me was if that was the challenge then, what are the challenges now? Where is the next generation going now? Where are the women going now? No school counselors are telling them to go to only go to nursing school or be a secretary (right?) So, what career path are they are choosing today? Are the enrollments to the Computer Science School’s higher today for women? It’s a different era today, with all the technology that is available to everybody (well, mostly everybody). I’m curious to see what’s everybody take on this so please let me know your thoughts! Where is the generation of women who are in the pipeline for their schooling and careers headed? If they are no picking technical courses or careers, what are the picking? You 20-somethings out there (plus or minus a few numbers on either side,) where are you headed? What is driving your decisions? I read two awesome posts here and here, about Women in IT this week as part of SQL University (which is an awesome resources), written by Jes Borland (blog | twitter) and Julie Smith (blog | twitter) and I can’t help but feel nostalgic and proud of the fact that I, too, work in this very rewarding field. I sent the link of the blog to my high school friend and she was very impressed (she’s currently a teacher at our high school and I have promised to keep her nameless.) She wanted me to write something so she can show it to her class as an example that Women (and men) can have a very rewarding career on Information Technology or IT. Let me share a little bit of my background. I’m originally from Jakarta, Indonesia. Growing up in the culture that women did not an have equal opportunity with men (sad, but true), we were taught to go to school so we can meet ‘nice gentlemen’. When I was in high school, a lot of my friends were choosing a management school (so they can meet nice gentlemen,) or nursing school (because that’s where most girls go.) The idea that us girls could go to any engineering school, medical school, or computer science school were far from reality since there wouldn’t be a future for us (that was the exact word from my high school counselor at the time.) Well, I was always a rebel, and I was always fascinated with math and science so I figured, what the heck – I’m going to do it anyway. I did a lot learning on my first year in college, but what challenged me the most was my class in Information System Management category. Anything related with data management always fascinated me. It was supposed to be an elective since I haven’t picked my major yet, but then I took my first programming class and I found my first love. Basic, Pascal, RPG, CoBol, C, Assembler. Ahh. I did them all. I felt like I went to a different country and learn their language. My first real relationship was with my Commodore 64. I treasured that baby the same way I treasured my BMX bike. Fast forwarded a few years, I finally graduated with Computer Science major and ready to conquer the world. The word of my high school counselor was ringing in my head. There is no future for me, since nobody will hire me. I was not ‘wife’ material in my hometown standard at the time, so I was kinda screwed. Then it dawned on me. I should look for an entry level job at some American company with the hope that they will see past the gender, since well, they are American, right? I did find the job but I spent my first 3 months just really mastering how to make my boss’s coffee perfect and schedule his meetings. I was hired as data entry, but I ended up as his personal assistant until one day, he was replaced by Suzanne Reynolds, who I owed a lifetime of gratitude (Jes, I’m borrowing your term here). She was my mentor, my teacher and someone that believe in me while I started to doubt myself. I soaked so much knowledge during the period I worked there, learned about DB2 and database management system as a concept and it’s like another world just open for me. I moved to a different company three years later and primarily worked with Access database and VBA. I quickly realized the limitation of MS Access and started to poke my head around to SQL Server and there’s no going back from there. Within six months, I relocated from Jakarta, Indonesia to Miami, Florida on my own, not knowing any soul, half across the world from my family to do things that I love to do and the rest is history. I truly enjoy my job and this is a very rewarding field. Yes, not all my previous jobs were unicorn and rainbow but I always tried to learn from each and one of them and take the good and rid the ugly. Today, I can really say that I’m at a point of my career that I’m very proud of and so glad that I was a rebel 20 something, years ago, and listened to my guts on pursuing what I love to do. Jes was dead on about the mentor. I am trying to be one right now and I am a living proof on the outcome of someone that have one growing up. I am a mama of two young daughters and I want them to understand about what I do and how much I love what I do. And for all the student of my high school, do not be shy, go after your own dreams. The counselors are not always right, women can and do succeed in this world in fields you would never think of. I don’t know much about engineering or medical field so I can’t speak on their behalf, but I know about IT field and I love it. It is very rewarding and it’s not all doom and gloom. The image of the IT professional working in the dungeon and getting isolated from the rest of the world are not true. I know the challenges of my hometown are tougher due to cultural differences but where there’s a will, there’s always the way and I am more than welcome to answer any questions for you. Not too long ago, I was one of you. A shy girl from a village, outside Jakarta. You too, can be where I am today. But then I had an idea. I could still take advantage of this free licensing even though we already were going to purchase it. I whipped out my fancy management calculator and crunched some number and confirmed it could be done. Since both training and licensing are capitol purchases and come out of the same pool of money, why not move some around. Bosses always like to see you move $ from one bucket to another if it saves on the bottom line and that is just what I did. By leveraging the $8,000+ worth of software licensing being offered by Quest, I suggested that we move some capitol funds from the licensing bucket to the training bucket. With an overall net savings, I was able to get another training under our belt this year, such as Immersion and SQL PASS since my SQL Cruise attendance already been approved. Pretty awesome, eh? So even if you already have budget for licensing, don’t take it for granted that it could not benefit you in other ways. Always look for opportunities to bring something back from training to the company that sent you there. It will help ensure the next time you ask for it, you are more likely to get it with less haggling. Saving the company money is usually right up there with improving stability and performance as a priority. The difference here is that you can show them real dollars upfront before they invest. Quest has given you, and through you, the company that is paying for you, a coupon worth possibly more than $8,000. Clip it, bring it, and use it. Don’t turn the page, it is real money! So you want to go to SQLCruise? … but not sure how to get your boss’s approval on that? If you go to the SQL Cruise site, you’ll find tons of reasons on how to smooth your manager over. Brent Ozar (blog | twitter) has various posts talking about that and my husband, John, actually wrote a post from a manager’s point of view that you can share with your manager. He was not sure about the whole training on the cruise ship concept when I made him carry my bags asked him to join me on the train-cation last summer and he wrote about his experience. If those posts still get a no-no from your manager, you are in-luck because the announcement just out today from SQL Cruise that all cruisers will get FREE All SQL tools from Quest. Yes. Free. All. You read right. It’s Litespeed, Spotlight, Foglight (which by the way, the most awesome tools for diagnosed your wait stats), Toad, Benchmark. You name it. Go to their site here, and check out their collection of SQL Tools. That is what you are going to get, on top of the many uber-cool swag that is going to be announced soon. Download those awesome tools, RIGHT now (if you haven’t already). Do an eval against your own environment and write down a summary of the benefit of these tools (you can’t just make this one up, you actually need to sit down and install, and evaluate a lot of things). Just use a couple of tools to start with. I suggest Spotlight and Foglight. Heck, throw Litespeed in there too. Those are the three tools that I know has helped my team tremendously do our job and be aware of potential problems before they become one. There ya go. Now get going and do your homework and hopefully I will see you at SQL Cruise Alaska! PS. A big shout out to Quest for their awesome-ness. Thank you for supporting SQL Community! Following in Tim Ford’s (blog|twitter) footsteps, I also went non-technical with my favorite post for this awesome twelve days of SQL, which is one of Brent Ozar’s (blog|twitter) collection of bad great ideas that I’m very honored to be a part of. I struggled to pick a favorite for this series since, well, there are many of them and it’s hard for me to just pick one, but I hold this particular near and dear to my heart since this is a simple fact that we all know, but sometimes overlook (me included). This post serves to remind me that, as a Production DBA, I need to be aware of everything that touches my servers and databases. I’m not talking about fancy Change Management process (that could be a separate post on its own) but it’s the awareness that other groups sometimes don’t have, or hey, sometimes we as a DBAs forget too. I’m talking to maintain a centralized log about every change that happens on the server. How many times have we modified an index on the fly and forgot to document that change? It’s not really a code change, is it? Well, being a Production DBA on a very busy server, every change matter. On that day I noticed an anomaly in our monitoring software, a spike where there shouldn’t be one. Red letters that said something had changed and I needed to look to see what it was. It was not impacting customers, but it could if I let it go. That is why I set my monitoring thresholds so I know before they do that something needs attention. Anyway, rather than go through a thorough diagnostics, log analysis, and alerting the team to start culling through code changes, I simply popped open list of the changes that had been made to the server and even though it wasn’t in red and flashing, the root cause popped right out and sure enough, if we didn’t take action, customers would know. The fact I had a running log of even the subtle changes made to the server allowed me to quickly deploy a fix to a couple indexes and had the devs increase our cache time and voila, the site sailed through a record Thanksgiving traffic with 100% availability and response times that may make others jealous. My favorite post is written by Jonathan Kehayias (blog|twitter). He is a co-author of this awesome book, Professional SQL Server 2008 Internals and Troubleshooting (every SQL Professional should have this book – and no, Brent didn’t make me say this). I have gotten to know him during SQL PASS 2010 when he dropped by to my office with Brent and whipped out some fancy extended events code to help me out identify some of the performance issue that I experienced. He’s a well respected member of the SQL Community, an intelligent fella’ , MVP and I would love to just pick his brain anytime I can. Coming next, a dear friend of mine who I met in person during another of Brent’s bad idea, SQL Cruise. 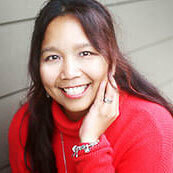 Karen Lopez (blog|twitter) is incredibly talented and has an ocean of knowledge about database design/architecture. She’s very active in the community, a renowned speaker, an icon for Women in IT and an awesome person to hang out with (even at a character dining in Disney.) Please check on her blog tomorrow to see what her favorite post of the year.